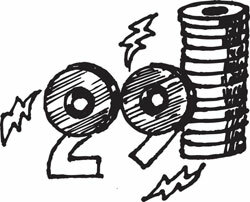 What is a killer rare earth magnet? Well, once upon a time, a copywriter put this little magnet next to his computer monitor and got really pretty, wavy, aurora-like effects. And then got a new monitor! Don't try this at home. 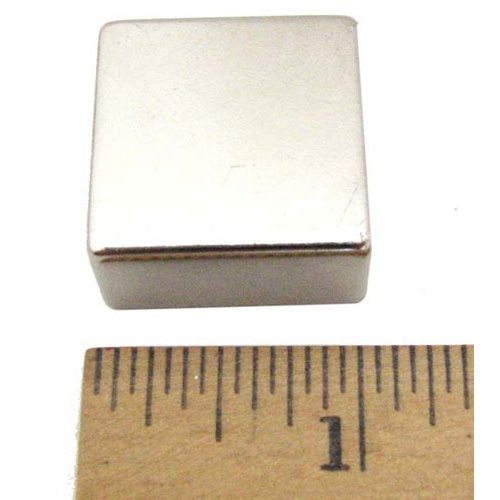 Our shiny, silver-colored 1" x 1" x 1/2" neodymium magnet looks innocent, but is industrial strength, pulling something like 25 lbs with enough strength left over to erase all your credit cards. And wreak havoc with your monitor. But you can take this copper tape to liven up your crafts, from journals and scrapbooks to jewelry, collages and picture framing. And since one side is conductive, you can wire a dollhouse with it. 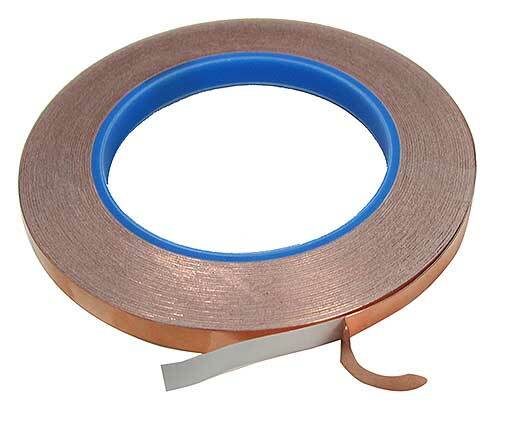 Our each is (36) yards of 3/8" wide x .0015" thick actual copper tape on a 3” core. It’s self-adhesive on the non-conductive side, too. Might be a slight exaggeration, but Pierre Vernier was born in 1580 and people were really short then. 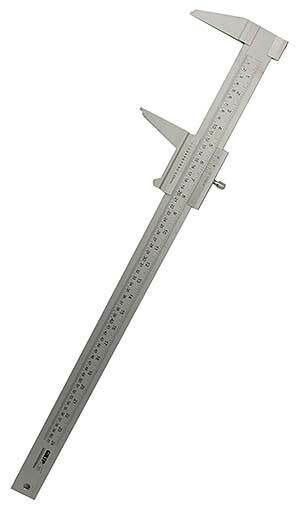 In any case, our aluminum Vernier caliper is 29” long and will measure up to 24” (61cm) in 1/16” (1mm) increments. 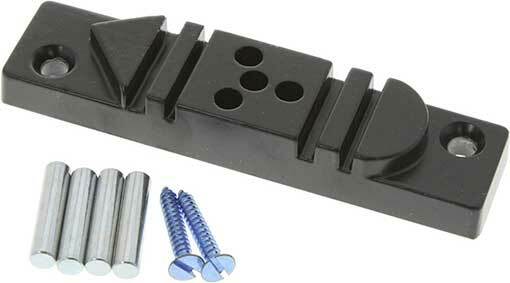 Has 2-3/4” long jaws and a lock screw. 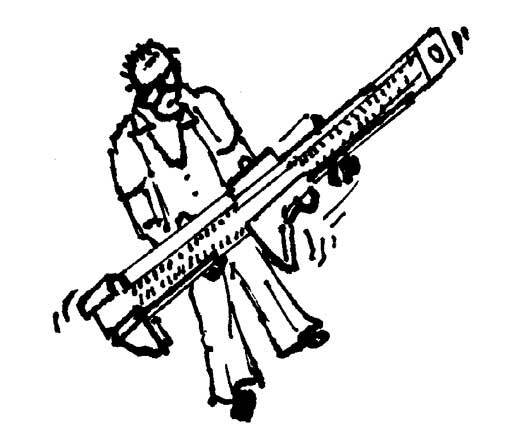 The resolution on the Vernier scale is 1/128” - 0.05mm. Please Note: Your entire order will ship standard ground when purchasing this item. Contact us for expedited shipping information. Thanks! 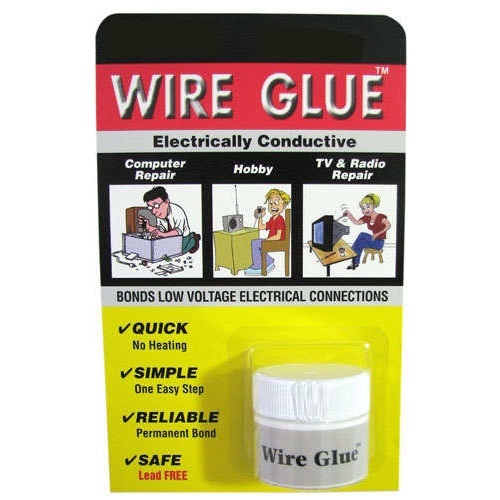 Wire glue-the solution when you can't find the soldering iron, don't want to bother, are out in the woods, don't quite trust a fifth-grader with a hot gun, can't reach the connection with both hands, whatever. 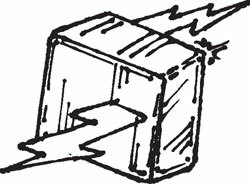 This stuff conducts low voltage AC and DC circuits in a permanent bond and is easy to use. Our high-tech support group suggests that a toothpick is a good way to apply it. Cures overnight. Our each is a 0.3 oz/9ml jar. 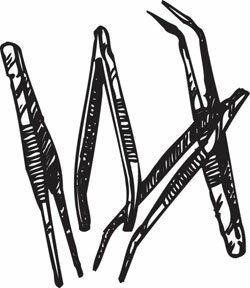 Teensy tiny brushes for cleaning teensy tiny tubes, airbrushes, spray guns, tattoo equipment, nozzles, etc. Think miniature bottle brushes. You get a set of (5) brushes: 1/32", 1/16", 3/32", 1/8" and 3/16" dia. 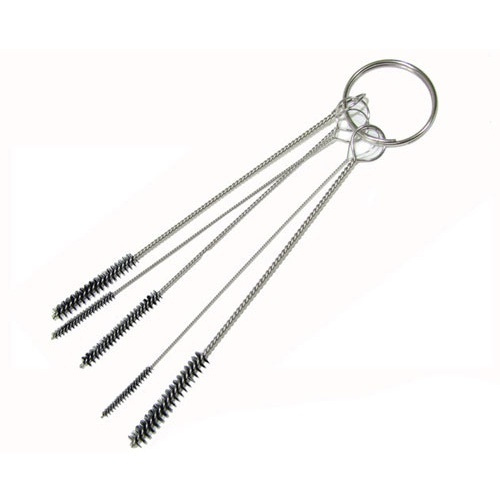 All have nylon bristles, are 4" long, and are on a slip ring so you won't lose them. This set of (6) tweezers is as useful as it looks daunting. 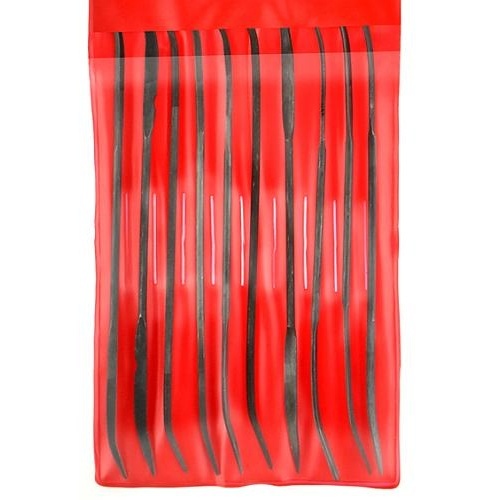 The (6) stainless steel tweezers vary in size from 4-1/2" up to 7". 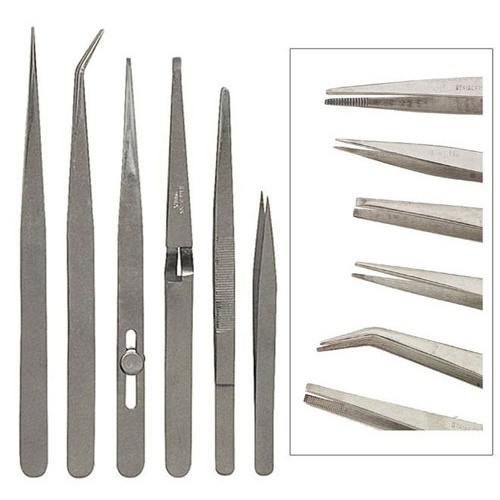 Two of the tweezers have serrated tips one is inverse, one has a slide latch and the others are straight flat tip. The set comes in a clear front plastic carrying case. Good for model cars, planes or hard to reach splinters. 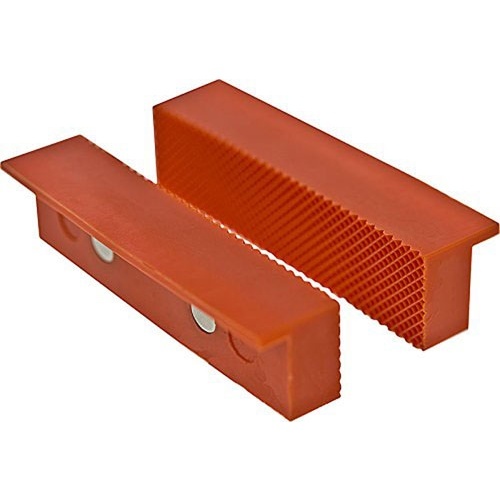 Stop wrapping duct tape around your vise, and protect delicate material the right way with this pair of hard-rubber, ribbed pads made to cover the jaws. The pads have (2) rare earth magnets embedded inside the rubber. Made for a 4" vise, they measure 4" long x 1-1/8" high x 3/8" thick with a lip along one long side. The rubber is 3/32" thick. Then better check your bore. 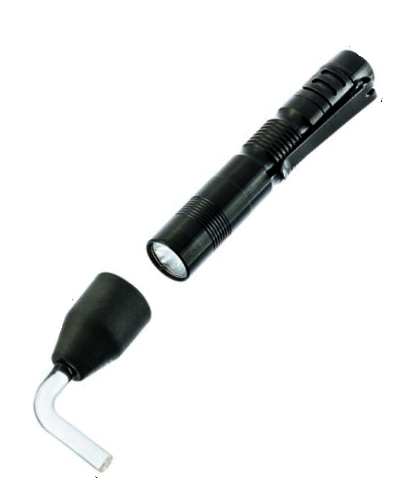 This tiny bore light, made for looking into barrels or other tight spots, measures 3-1/4" long x approx 5/8” dia with a single white LED. Includes a slide on right-angle fiber-optic head and a pocket clip. Take off the head and it’s a nice mini flashlight. You add (1) “AAA” battery. Any way you want it. 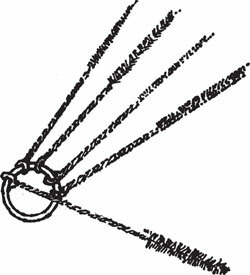 This cast aluminum wire jig for jewelry-making measures 4-3/8" x 1" x 5/8" with (4) 1” x 1/4” steel pegs, semi-circular and triangular bending points, slots at 3/32",1/8" and 3/16" wide, plus one with a small divot to one side. 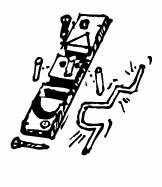 Includes mounting screws so you can stick it to your workbench. Not into jewelry? 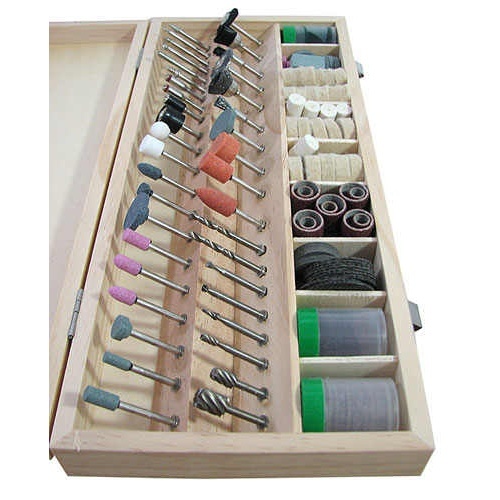 Bend your own fishing hooks, S-hooks and soft metal strips. 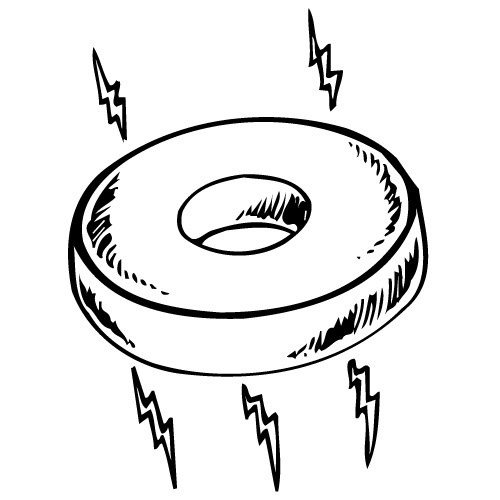 Donut magnet you can take to town!! 74mm dia x 14mm thick with a 30mm hole. Very strong and well pedigreed - in fact, its kin are activating pacemakers. 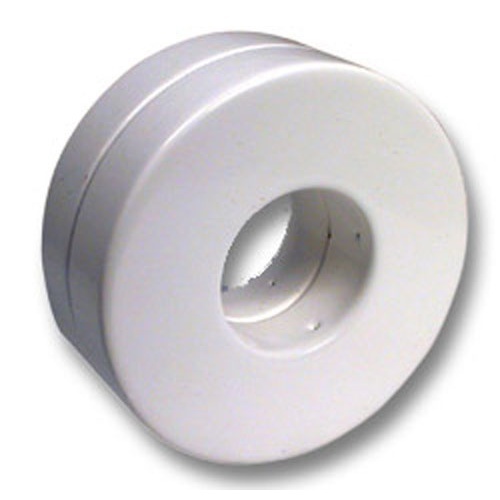 They are of a high permeability ferrite material with a lovely light blue or white epoxy coating. Okay, we have them because there is the odd bubble, slight scratches or the word MAGNET painted in the coating which ruled them out of the medical ball, but they're fine company nonetheless. 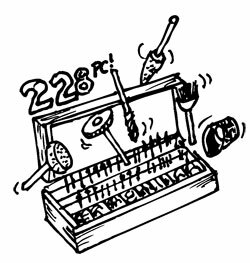 Good display bases, paper clip traps, and super for classroom demos. 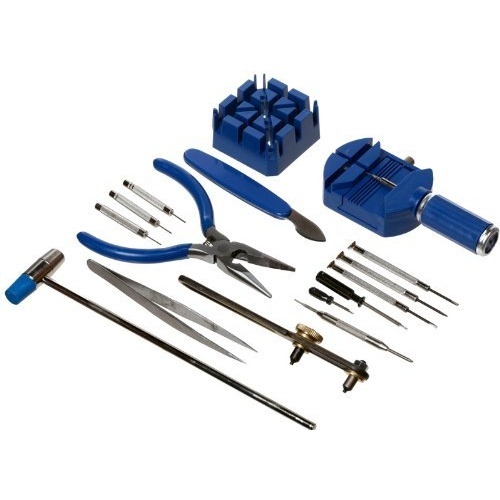 This 16-piece set of watchmaker's tools are just as handy for jewelry-makers, crafters, or anyone else working with small parts. 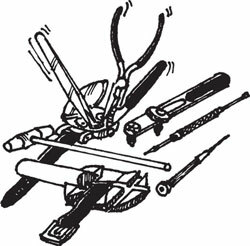 The professional watch-repair kit Includes (2) tiny Phillips-head screwdrivers, (3) diminutive flat-heads, a case knife, non-magnetic tweezers, case wrench, metal/plastic watch hammer, link-pin remover, double-head pin pusher, (3) pin-punches, small needle-nose pliers, and a watchband holding block. Just changing bands and batteries? Get these tools to make it a lot easier, and order a brand-new pack of 30 popular-size button batteries-(6) AG1, (6) AG3, (6) AG4, (3) AG5, (3) AG12, and (6) AG13. 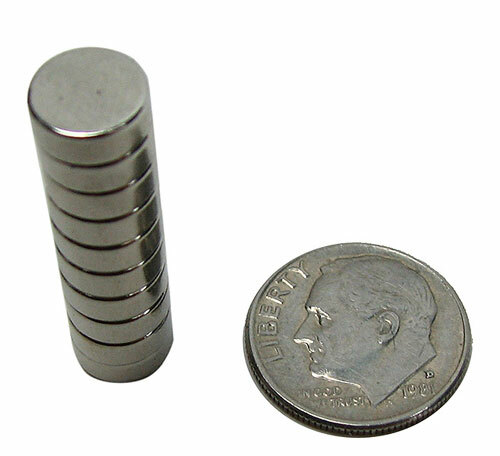 Our each is a stack of (10) nickel-plated neodymium magnets. They measure 5/16” dia x 1/8” thick and have about 2 lbs of pull. We like them for light cabinet door latches or hanging your macaroni craft project very securely. 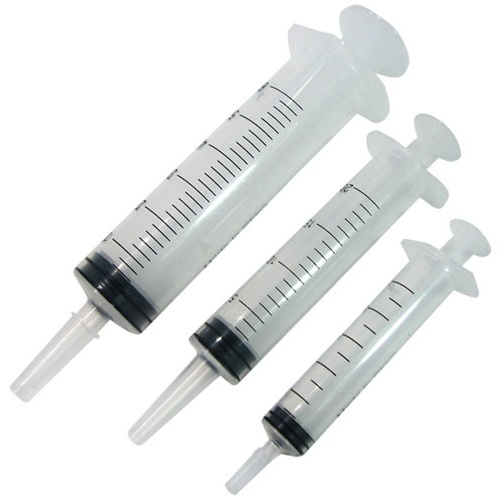 Handy 3-pack of syringes, 10ml, 20ml and 60ml, perfect for squirting glues, greases, lubes, paint, whatever you need to squirt. And if you use them as squirt guns, you didn't get the idea from us. 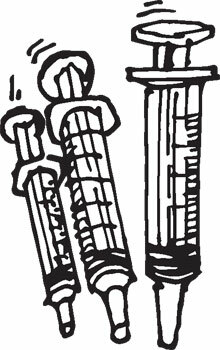 Small ones are graduated in 1ml increments; the big one in 2ml. All come with caps, so you don't dribble. 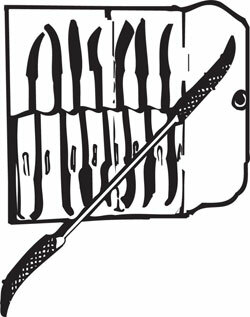 Riffler files are most prized by sculptors, wood carvers, model makers and similar fashioners of precision objects. They come in a variety of flat, round and triangular shapes. They are usually pointed and always have a delicate curve toward the point which makes them particularly useful for working in tight and curvy spots. We have a set of (10) in an attractive red plastic case. They are 3 x 180 mm size (about 7"), and were made in China for the King Manufacturing Co. Very nice quality at a very nice price. 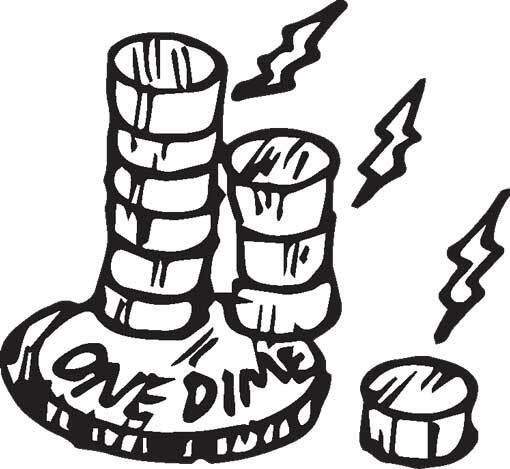 They can cost as much as $4.00-$5.00 apiece in regular outlets. 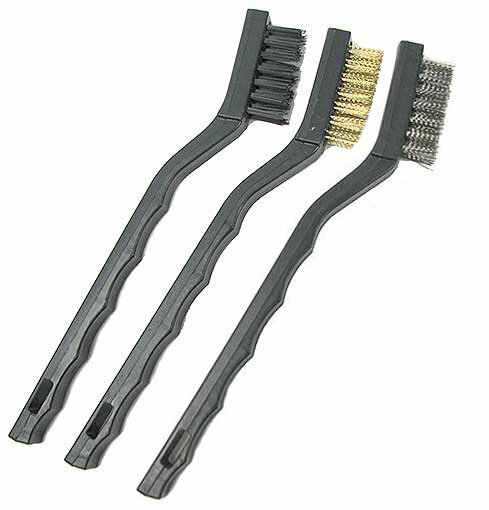 You don’t even have to be rude about it because this is a set of (3) small cleaning brushes for removing rust, paint, grime and schmutz in general. They’re 7” long with plastic handles with 45-degree offset heads. 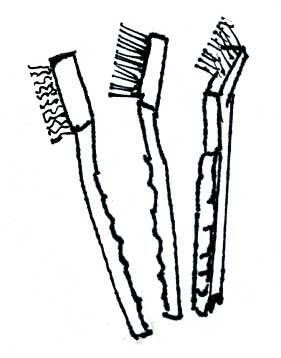 You’ll get (1) each with stainless steel, brass and stiff nylon bristles. The brush area is 1-1/2” x 1/4” on all of them. Can't beat a classic. 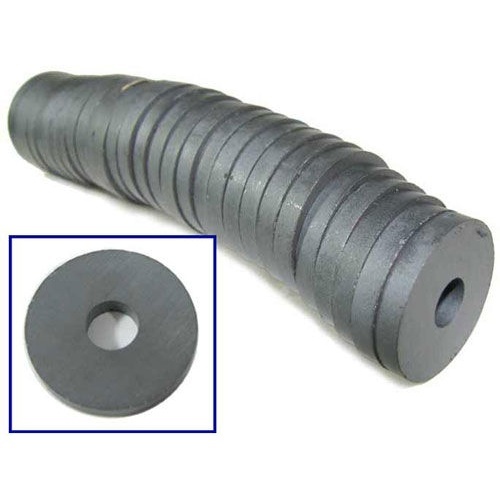 These uncoated ceramic donut magnets have a 1-lb pull, which makes them dandy for classroom or refrigerator use. They measure 1-1/4" dia x 3/8" ID x 3/16" thick and are polarized on the faces. You get a wrapped roll of 29 donuts. 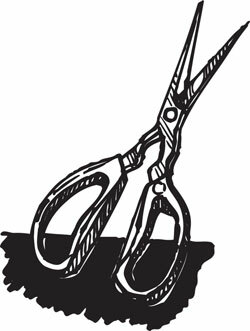 This all-purpose scissors is the favorite of everyone at A.S.&S. 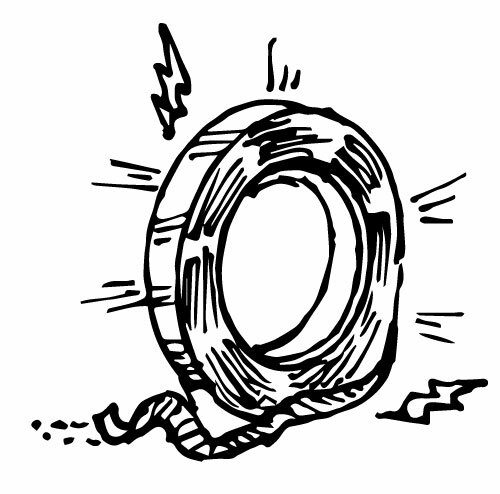 : Pat uses his to cut and strip wire. C.J. uses his to slit the tape on packages. Mary Ann uses hers to open bags of pretzels. 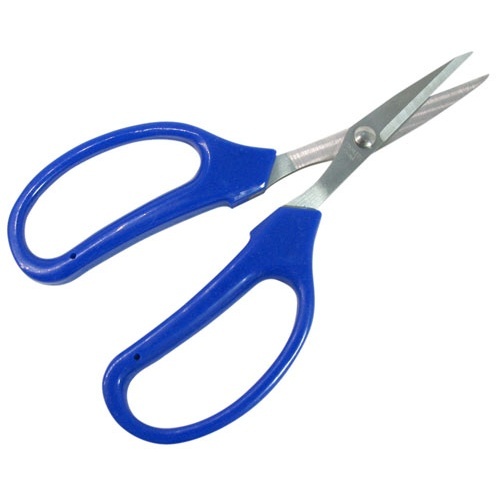 It's 6-1/4" long overall, with a very sharp 2" stainless steel blade and large, comfortable handles. It would sell for $9.95 retail if it was new, but it was used for one day to cut cloth in the assembly plant of a major car company, then discarded. Quality control is a wonderful thing.